We have joined forces to help our people in Puerto Rico“Mano a Mano”. Due to the direct hit of Hurricane Maria which caused devastation throughout Puerto Rico, the island is in a humanitarian crisis. Nursing Homes and Hospitals, including children's hospitals and rural communities are not getting sufficient food or drinking water to live. We will use all our contacts and resources to buy perpared food and drinking water and to deliver those vital resources to all in needs. They will use existing methods of distribution to make sure relief operation reach people who need it most "mano a mano”. Your support will save lives and help rebuild Puerto Rico. Almost a year since the deviating Hurricane Maria almost destroy our beautiful island we still working and helping to people in need. Building roofs so people can get back to their houses. Reconstructing centers for life’s and elderly people. We are trying to help in any way we can. The 100% received is use to help those people. Our relief efforts (emotional and physical) extremely rewarding. There is still a lot to do and many people in need. 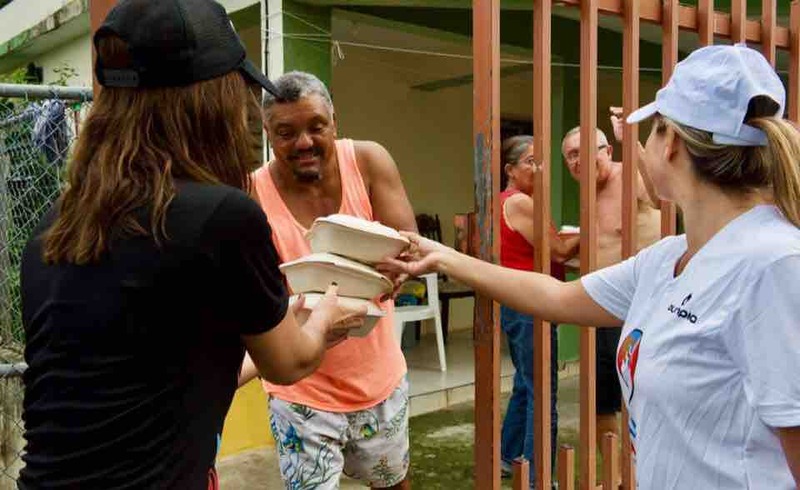 Our foundation, after the massive effort to feed so many people has been concentrating more on direct impact efforts and activities as the reality is that food supplies is flowing and those affected are not going hungry as they were immediately after the hurricane. Hence, we tend to do an activity per week; mostly during the weekend where we sometimes create an alliance with other initiatives and bring toys, entertainment, health services, among others activities. In most cases we work with community leaders that have “boots on the ground” to organize and promote the event. Community leaders that help us identify families in need. In need for a roof, in need for a bed...so we can help in rebuild their lives and get back to their home. There is a long road ahead of us and we will tackle these challenges. We still need your support because the funds raised already are gone. More than $54,000 we used in feeding more than 60,000 persons, in rebuilding home for families affected and to bring food, health and joy in our Puerto Rico Vive around the island. Gracias a todas las donaciones Mano a Mano Ayudando a Puerto Rico está alimentando aproximadamente a más de 3000 personas en pueblos de la isla como Villalba, Aibonito, Patillas, Toa, Baja, Loiza, Carolina, Dorado y egidas y hospitales necesitados. Necesitamos seguir recaudando para poder llegar a más pueblos y comunidades.